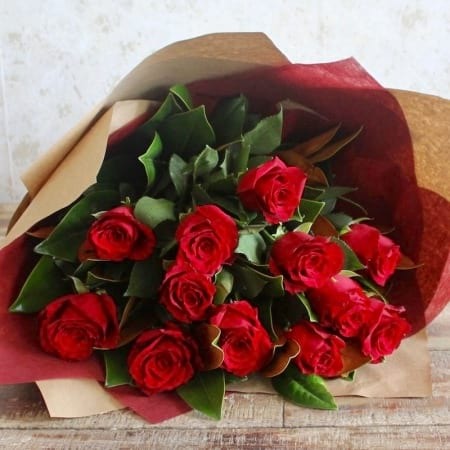 Red roses are a classic and popular choice that will send an unmistakeable message to your loved one. The colour red symbolises romance, love and passion. These roses are carefully arranged into a bouquet and finished off with our attractive signature wrap. A traditional Valentine`s Day gift this bouquet is sure to impress the recipient.